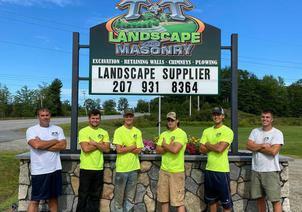 T & T Landcape and Mansonry (formerly T & T Lawn Care) was founded in 2005 by Tim Kachnovich. Among other employees, he is now joined by his wife, Jessica (Office Manager), and his son, Tyler (Masonry / Hardscape Project Manager). Their youngest child, twelve year old Ainsley, will hopefully join the team in a few years. 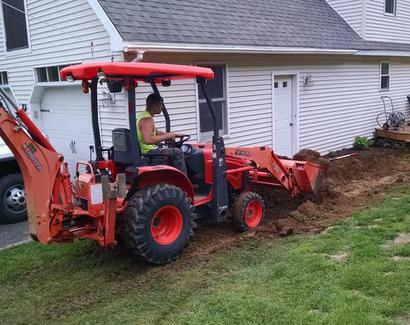 We began by providing lawn and landscape services to residential customers. In 2006 we began servicing commercial properties. By 2008 we had transitioned to strictly commercial/municipal properties. However, after many request we have since added residential properties back to our client list. 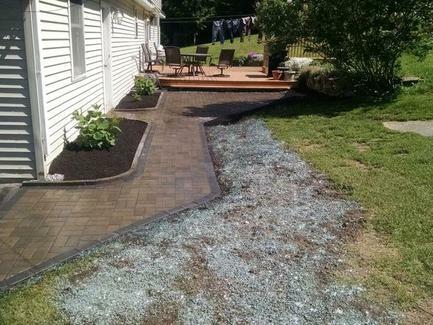 We strive to provide superior landscape services at competitive rates. We are big enough to handle large scale properties, but small enough that the owners are often on-site. We are pleased to announce that we will be adding a Masonry / Hardscape division in 2016 . Tyler will manage this new division. 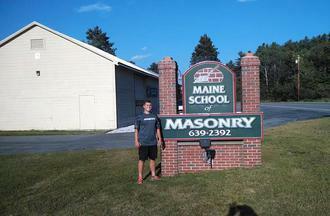 He has received his training and education from the Maine School of Masonry and the Interlocking Concrete Paving Institute. 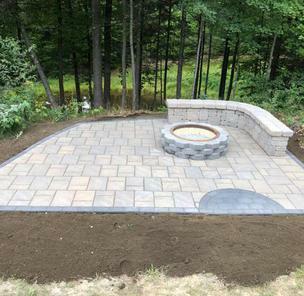 This division will specialize in all phases of Masonry Construction (brick, block and stone) and Hardscape Construction; patios, walkways, retaining walls, fireplaces and outdoor kitchens. Both Tim and Tyler hold their Concrete Pave Installer Certification through the Interlocking Concrete Pavement Institute. Our equipment is only commercial grade and impeccably maintained. Our crews are conscientious and polite. We realize your property appearance is a reflection of us. We won't leave until it is looking its best. We provide you with quality references to contact at any time. Our goal is for you to become our next reference. Whether it be residential customer , or a commercial account, we have many clients that have been with us for a number of years that would be more than happy to provide you with great feedback about the services we provide for them. We have on-going safety training programs within our company. We use traffic cones around our equipment & employee work areas. Everyone on-site is required to wear a reflective vest to help keep our customers & employees safe at all times. We adhere to, and all of our work is done in accordance to all Federal and State laws and mandates. All T & T Landscape and Masonry employees wear company shirts & vests at all times. Our employees are easily identifiable when on your property. We are always professional and easily accessible to address any issue you may have.